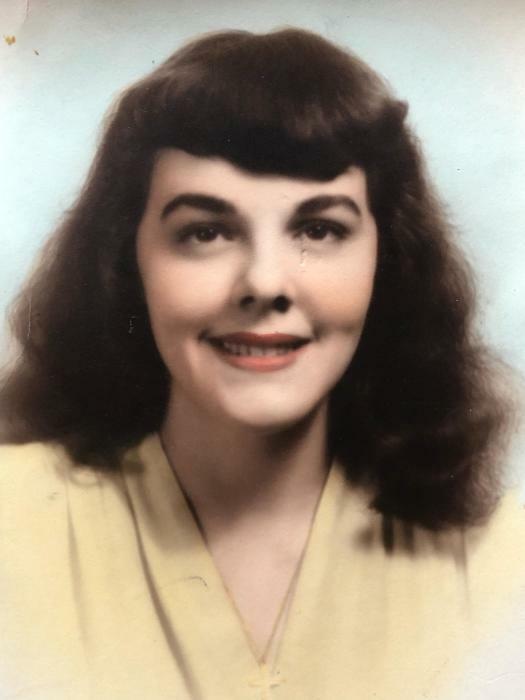 Obituary for Evelyn L. Nelson | Hile-Best Funeral Home, Inc.
Evelyn L. Nelson, 90, of Franklin, passed away peacefully Saturday afternoon, April 6, 2019 at The Caring Place in Franklin. She was born in Grove City on August 24, 1928 to the late Nelson and Margaret (Webster) Fox. She was married on November 25, 1948 to James E. Nelson, and he preceded her in death in 1991. Surviving are two children: Coleen Lane and her husband Gerald of Hartstown, PA, and Scott Nelson and his partner Daniel Duda of Baltimore, Maryland; and two grandsons, Jason and Sean Lane of Hartstown. Also surviving are three half-sisters, Donna Fox, Betty Boughner and husband Richard, and Sandra Couch and husband Clyde, all of Cooperstown; and numerous nieces and nephews. In addition to her parents and husband, she was preceded in death by her daughter, Peggy Ann Nelson, who died April 8, 2012. A visitation will be held Wednesday (April 10th) from noon until 2 p.m. in Hile-Best Funeral Home, 2781 Rte. 257 in Seneca, where a funeral service will follow at 2 p.m. Wednesday, with Rev. Bobbie Nelson, officiating. Private interment will follow in Rockland Cemetery.